First Coast News and Baptist/MD Anderson are raising funds to purchase The Buddy Bus, a mobile mammography unit that would serve six local counties. Currently, less than 50 percent of women are getting regular mammograms. 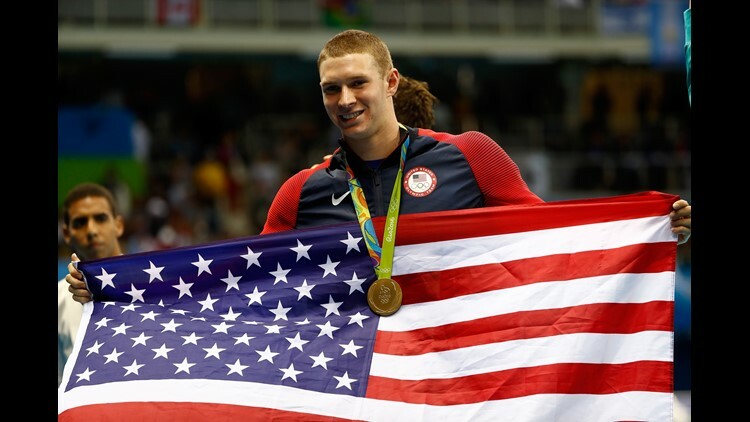 JACKSONVILLE, Fla. -- It's exciting enough for employees at Momentum Transportation USA to touch a real Olympic gold medal and meet an Olympic swimmer. 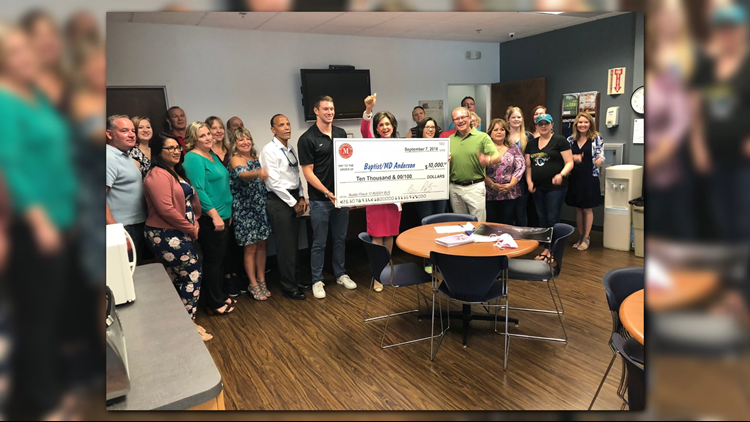 But then -- best of all -- Momentum's CEO and President Brian Putzke announced his company is donating $10,000 to our Buddy Bus mission. Putzke says he's followed Buddy Check for many years and he believes in helping the community. Momentum operates as an independent agent for Landstar and provides transportation and supply chain logistics in the U.S. and overseas. Two Momentum employees, Shaelee Bonday and Pete Ramirez, both have ties to breast cancer. Bonday's close friend, skipped her mammogram until Bonday urged her to go. It saved her life. Ramirez says his sister owes credit to mammograms, as well. Murphy says he has a personal connection to the fight against breast cancer. "My grandma passed away from breast cancer before I was born," he says. She was just 49 years old. Murphy says, "Even though I never met her, by all accounts she was an incredible woman. She was lost too soon." Momentum employees got a chance to ask Murphy questions and get his autograph on Speedo swim caps. Murphy won three gold medals at his first Olympics. And, since the Rio Olympics, Murphy has graduated college, signed with Speedo and broken several records in major competitions. Now Murphy is working to make an impact on his community. He signed a Buddy Bra for the Buddy Bus project. Each Buddy Bra is a $20 donation Every penny goes towards purchasing the Buddy Bus. We need to raise $1 million dollars for the purchase. All donations are tax deductible. Click here to donate.